The recent Education Select Committee on fostering acknowledged the need for an open culture of sharing practice between local authorities and independent fostering agencies, creating stronger mechanisms for learning across the sector. Around 75% of children in care are in foster care and, across the country, fostering providers and carers are creatively and bravely rethinking traditional approaches to care, support and risk, helping these young people to thrive. As part of our mission to support young people to become thriving adults, Innovation Unit has been building a picture of the new ideas, models and practices emerging across foster care. The examples below demonstrate just three of the ways in which traditional methods are being re-thought, and which we think have the potential to create change at a bigger scale. Idea 1: Prioritise the existing bonds in children’s lives by default, not exception. Four out of five children in care are living apart from at least one brother or sister, causing them to lose touch with the people who know them best. Contact with siblings and other family members is often viewed as a risk, but a whole-family approach to support for young people in care can strengthen positive personal identities, reducing vulnerability and risk levels when they reach care-leaving age. Taking a different approach – prioritising the existing bonds in children’s lives by default, not exception – can help protect and strengthen the support networks that for children outside the care system are a given. Siblings Together is the only UK based organisation focused on promoting positive contact between siblings across the whole care system. Innovation does not have to be startlingly radical in nature to have sustainable, lasting impact, and Siblings Together’s approach is deceptively simple. It organises initiatives for young people in care, care leavers and their siblings, who may or may not be in care themselves, including a mentoring scheme that aims to improve communication and the relationship between siblings, residential camps and monthly activity days. Its Creative Connections programme works in partnership with creative organisations that enable siblings and care leavers to develop a broader set of skills and confidence together. This kind of arts-based approach encourages positive learning of vibrant, creative and new educational skills, essential for personal and professional development. Following its pilot summer camp, 100% of young people reported that they continued to have increased contact with their siblings. 95% of young people said they were happier, with 60% reporting an increase in their self-esteem. 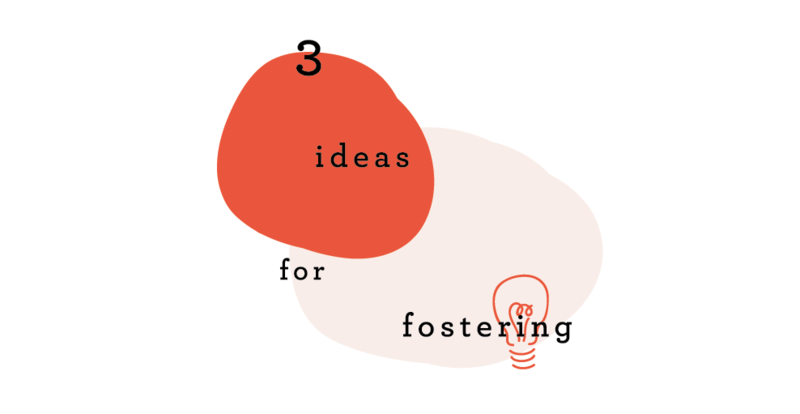 Idea 2: Rethink support for foster carers to give more children a stable, long-term experience of a loving family. The Fostering Network estimates that 7,000 new foster carers are needed to provide homes for young people across the UK. In a time of increased pressure to recruit and retain within the sector, support and supervision needs to place an active focus on the wellbeing of the foster carer, as well as the young person. Support for young people does not stop at providing a roof and a bed. 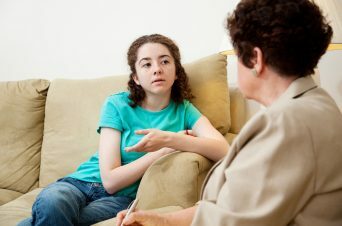 Foster carers must have the ability to respond sensitively to a child’s emotional and behavioural needs, often being highly skilled at complex behaviour management, understanding past trauma and mental health, and managing the complex relationships around the child including birth families, social workers, schools and police – and be able to play this role 24 hours a day. This can place a huge toll on carers’ wellbeing and the relationships within their own families, sometimes leading to the breakdown of a child’s placement. ‘Fostering Changes’ is a 12-week training course designed to improve how foster carers cope with their caring responsibilities and increase their care skills. Helping foster carers find an effective balance between the professional and the personal, the course is behaviourally based and derives from research into parenting, skills attachment, educational attainment, and the academic progression of looked after children in care. It is delivered by a team of clinical specialists who trained and practiced as social workers or psychologists. Fostering Changes is being evaluated by Confidence in Care, an ambitious five year programme, launched in 2015 and funded by the Big Lottery, which has already begun to transform outcomes for looked after children in Wales and influence the way children’s social care is delivered across the country. Idea 3: Enable young people in care to have a say about the decisions made about them, liberating their sense of agency and ability to demand change. We know that the most powerful tool in making change happen is mobilising demand. From patients’ rights groups to parent governors, improvements are made, ideas are championed and innovations spread when people have the power to make their voices heard. Yet young people in care have very little voice or ability to demand change – either in their own care, or in how the sector operates as a whole. This is especially important when making decisions about where they should live, what school they should go to or what contact they should have with parents and siblings. But it also makes it hard for the collective voice of young people to be heard on the bigger issues that affect them. Who Cares? Scotland is a voluntary organisation working with care experienced young people and care leavers across Scotland. It works alongside multidisciplinary teams of Government, public bodies, organisations and young people with shared experiences during transitions of change to ensure they recognise their rights and understand how they can be secured and strengthened. This involves a blend of inspiring talks, workshops and practical tasks. Unlocking this potential and supporting the young person to take control of their own care experience strengthens their sense of place in society, and creates and mobilises a collective voice for change. It creates a step towards a society in which all young people in care are engaged, mobilised, and empowered, giving them the skills they need to become thriving, independent adults. These examples are the tip of the iceberg: we know that there is a rising demand to improve and innovate across foster care and that fantastic practice is happening across the country. There is no lack of ideas, passion or commitment to making change happen. To make these priorities stick and grow at scale requires all of us to work together to learn from each other, to share best practice and to keep rethinking the way things have always been done. Innovation Unit are hosting an event to share more great ideas for fostering on Tuesday 25th July. If you would like more information about the event and want to be part of the conversation, contact Sarah Ward.